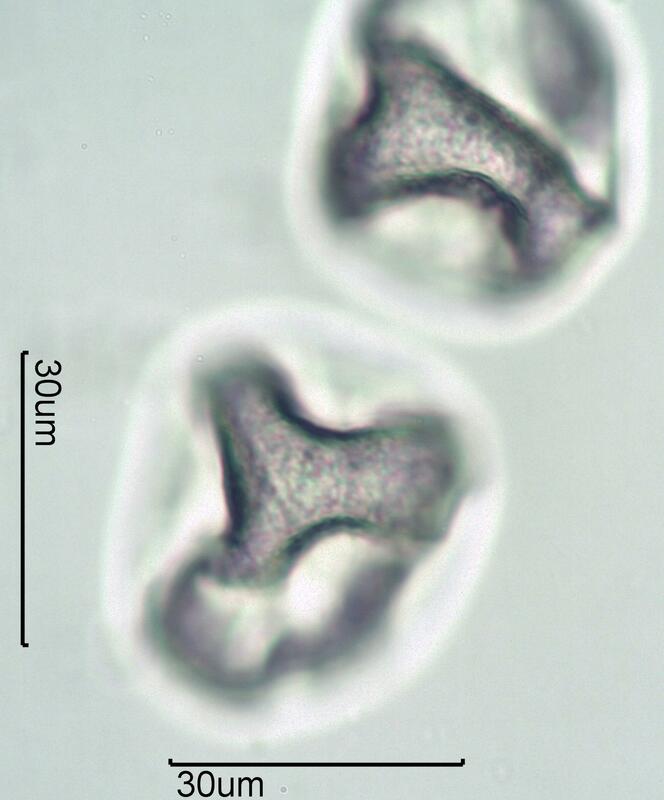 This is pollen collected from a grass in the Cascade Mountains of Washington State. It has been dewaxed with alcohol but not acetalized. These are colapsed spheres as they appear in most air samples and on surfaces. If they had been acetalized they would appear as spheres. The mounting medium is Melt Mount with a refractive index of 1.704. This is at high focus.